Social media can help small businesses attract new customers and build stronger relationships with their customers. To be successful on social media is to have engaged followers. The more customers or potential customers interact with your business, the more likely you are to build trust and loyalty and grow your business. 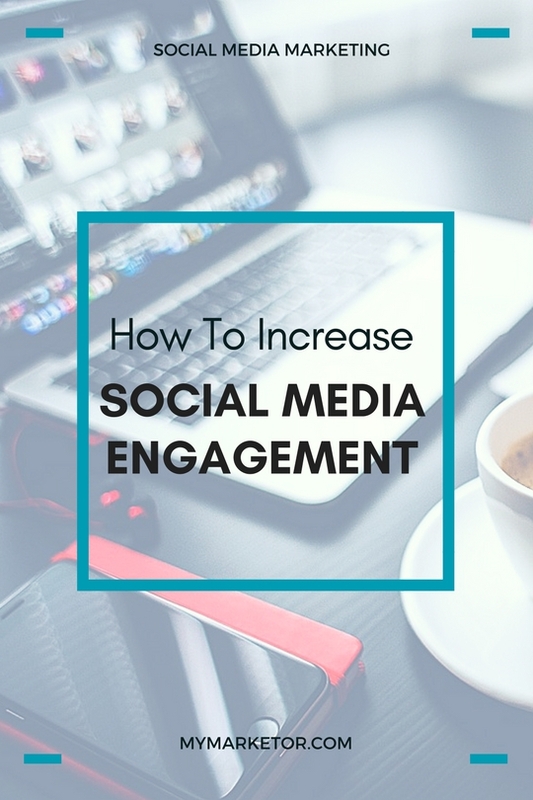 How do you generate engagement on social media? It’s important to remember that social media is SOCIAL! So, just don’t talk about yourself and promote your business, use one or more of these social media E-gredients: Engage, Educate, Encourage, and Entertain. Asking them to share their experience using your products or services. Inviting them to post pictures. Showing real customers using your products serves as social proof and gives them the opportunity to shine. Responding when someone comments on one of your posts. Many of us are looking for advice that will make our lives easier. Provide useful content that may be helpful to your audience. 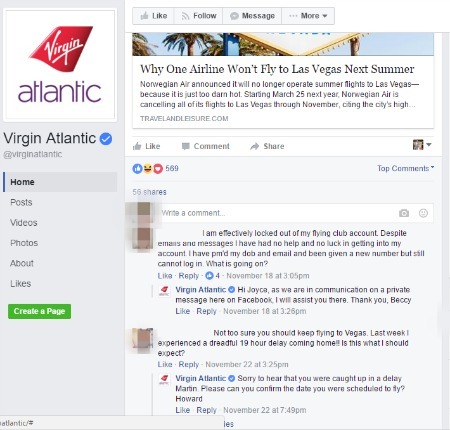 This type of posts will help you establish credibility and trust with your audience. Answer your frequently asked questions. Give some tips: a caterer may share tips on how to plan a birthday party, a SPA owner can give everyday beauty tips. You can also share third party content from your industry or outside your industry when appropriate. Before you post, ask yourself: Is this information valuable to my audience, will it improve their lives? One thing the Bluff Works customers do is travel and when you travel … you need to eat. 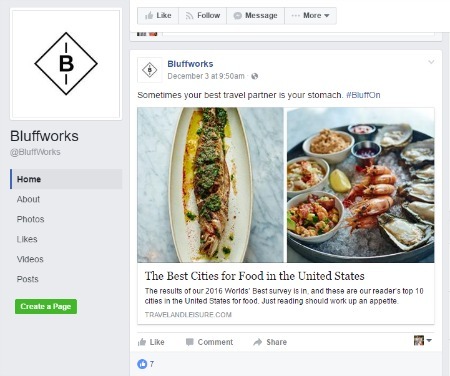 Here they are using a link from a travel magazine on The Best Cities for Food in the United States. Is this link valuable to their audience? Yes. Will it improve their lives? Probably. Social media can be a dark place filled with negativity. Make your newsfeed a positive place where your audience comes for a virtual hug. I know that those inspirational and/or motivational quotes may seem corny sometimes, but many of them are full of wisdom. Use motivational quotes with your logo or products if this works for your business. Inspiration: Nike “Motivation” board on Pinterest. You don’t have to be serious all the time. Life is stressful. Laughter is the best medicine and that’s why we all like to spend time with people who make us laugh. 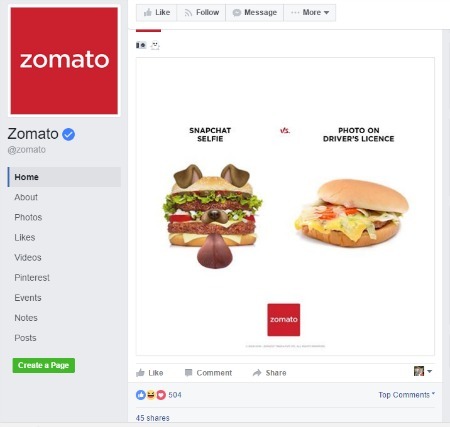 Inspiration: Zomato – The restaurant finder app writes humorous posts that get a lot of engagement. Your social media marketing efforts can’t pay off if you don’t have an engaged audience. To get your audience to pay attention, comment, like, share and click on your posts, it’s important to Engage, Educate, Encourage or Entertain. Social media is where you can show a little more personality, enhance your brand and engage with your audience on a personal level. How do you engage with your social media audience?